If you are new to security cameras, then this FAQ (Frequently Asked Questions) is the best place to start. It will answer your questions and address all those little concerns you have nagging in the back of your mind. After reading through the “Table of Contents”, should you not find the information you are looking for then, please ask it in the comment’s section at the end of this page. NOTE: You may use the Table of Contents below to go straight to any particular topic. 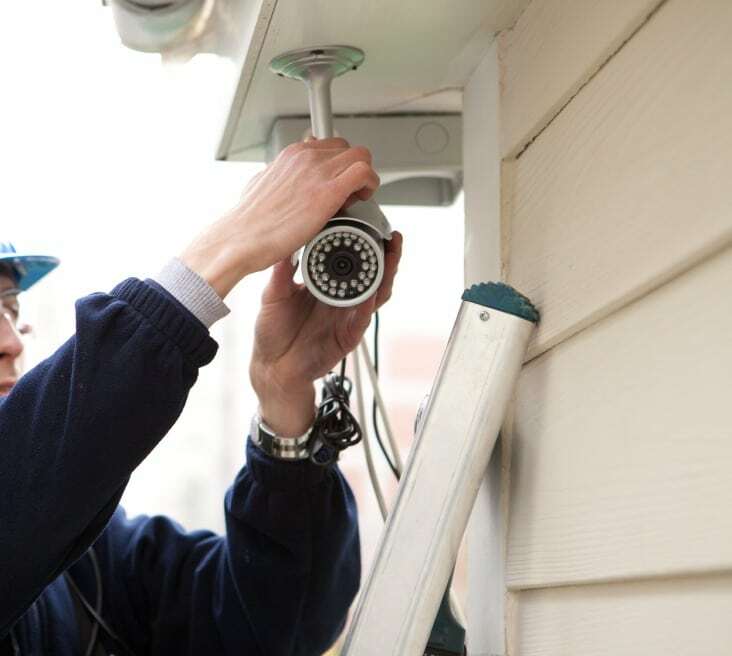 What are the other uses for indoor security cameras besides detecting burglars? What else do you need in addition to a security camera? Should I buy a wired or wireless (WiFi) camera? Is my internet speed fast enough to use a security camera? Where is the best place to put my indoor security cameras? How many indoor security cameras do I need? Why are there so many setup options for wireless IP cameras? Why does a wireless camera have an Ethernet socket? What is “The Cloud” – In non-technical terms? Why do indoor wireless cameras give you the option of storing video on a microSD Card and in the cloud? How many hours of video, from my indoor camera, can I store on a MicroSD card? What happens when the indoor security camera’s microSD Card is full? How Do I know if I have enough memory on my indoor security camera’s microSD card to cover the time when I’m away on vacation? What are the consequences of someone breaking in and stealing my security camera? Can wireless security cameras, connected to the internet, be hacked? What’s the difference in picture quality between 720p and 1080p HD security cameras? What is frame rate i.e. Frames per Second (FPS) and why is it important for security cameras? Why Would I Want Pan/Tilt/Zoom Functionality? Q1. What are the other uses for indoor security cameras besides detecting burglars? 1. Checking in on the kids, e.g., are they home from school yet? 5. Checking to see if you left a window open? Q2.What else do you need in addition to a security camera? 2) An internet connection with a minimum speed of 2.5mbps for 1 camera – The more cameras you have, the faster your internet connection needs to be. For example: 10Mbps for up to 4 cameras. For 18 cameras you would need a speed of 35Mbps. 3) Wi-Fi (you can use a camera with Wi-Fi only – i.e. without an internet connection) – Wi-Fi without an internet connection means you won’t have remote access. Being able to watch your home from anywhere in the world is one of the main attractions with these modern systems. 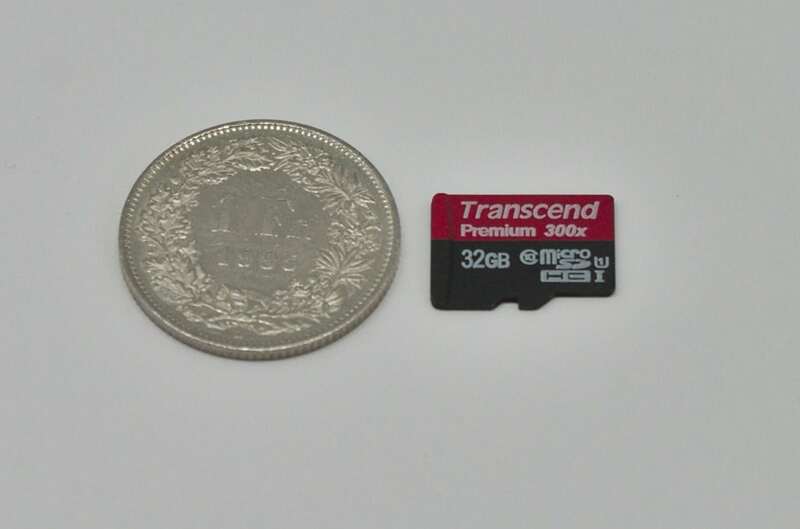 4) 64GB microSD card – You will need to buy a microSD card because they’re not included. The good news is that they’re pretty cheap. Q3. Should I buy a wired or wireless (WiFi) camera? A. A good rule of thumb is to use wireless for indoor cameras and hardwired outdoor cameras. To learn more read this article Hard Wired Vs. Wireless Home Security Cameras. Q4. Is my internet speed fast enough to use a security camera? A. I would suggest you need a minimum speed of 2.5Mbps per camera. Read this article to learn more What Internet Speed Do You Need to Support an IP Camera? Q5. What is an IP camera? A. It is a digital camera that uses your WiFi or Ethernet cablet to send its signals. To learn more read this article To People Who Want To Understand IP Cameras – But Don’t Know Where to Start. Q6. Where is the best place to put my indoor security cameras? A. The best place is at the main points of entry. This means watching over the doors (front, back and side) and first floor windows. When your cameras are well-positioned, they will make a nice recording of the intruder’s face. That means there’s a better chance of the authorities being able to track the thief down. So even if the camera(s) only record the crime – rather than prevent it – it’s still valuable. This way you’re more likely to get some or all of your valuables back compared to those who don’t have indoor security cameras. You can read more about placing your indoor cameras here and outdoor cameras here. Q7. How many indoor security cameras do I need? A. How many cameras you need, will be based upon the structure of your property and the rooms or areas you want to watch over. If it’s not practical to cover every door and window, then the next best position is in a hallway which the intruder has to walk down in order to navigate around your home. Q8. Why are there so many setup options for wireless IP cameras? A. The short answer is to give you more flexibility. Despite there being so many options, try not to let this overwhelm you. You’re not going to need most of them so my advice is to keep things as simple as possible. In other words, don’t start to read about any of the stuff that doesn’t apply to the way you want your camera system to work. This is no different to the user’s guide for say a smartphone. How many people read those cover to cover – practically no one. We just go to the sections that apply to us and our needs. Do the same for your camera system. Before starting to set up your camera, list the things you want it to do. Q9. Why does a wireless camera have an Ethernet socket? A. Out of the box, a wireless security camera system may be unconfigured. That means you have to set it up before you can use it. To do this you need to plug an Ethernet cable into its Ethernet socket or port. This will instantly connect the device to your home network. All you have to do then is run the setup software and follow the stepped instructions. That’s it, you’re all done. Another use for Ethernet technology is if your home Wi-Fi signal is patchy. You could always buy a Wi-Fi extender or repeater that extends the coverage area by amplifying the signal. However, a better, more consistent option is to connect your camera directly to your router via an Ethernet cable. Q10. What is “The Cloud” – In non-technical terms? A. Cloud computing is a term that we see used everywhere these days. All it means is that you store and access your video from your camera online instead of – or in addition to – physical hard drives. You can just think of the cloud as a metaphor that means the internet, or online data storage. Q11. Why do indoor wireless cameras give you the option of storing video on a microSD Card and in the cloud? A. Both the MicroSD card and cloud storage are the simplest ways to record and store video footage. The main problem with SD cards is that they have a fixed capacity. Also, if you only use the SD Card and the burglar takes off with your camera, you’ve also lost your footage. None of these are issues if you store video in the cloud. However, with most security systems there will be a monthly fee for their cloud storage services, but it is well worth the bit extra. Q12. How many hours of video from my indoor camera can I store on a MicroSD card? 1. For a normal home set up you only need to record when you’re not there. That means you could possibly store a couple of months of elapsed time on a 64GB card. 2. The second reason is control. If you need to go back and find specific footage of an incident, you can do this quickly when you only have sensor activated recordings. If you need to do the same with continuous recording – and don’t know the time of the incident- you could be there for hours. Imagine that, watching video of an empty home, which is about as much fun as watching paint dry. TOP TIP: You can use a 32GB or 64GB card. I recommend a 64GB microSD Card. For just a little extra money you get double the storage capacity. You can never have too much memory, but you can certainly have too little. Q13. What happens when the indoor security camera’s microSD Card is full? 2) Resume recording from the start and write over the older footage. Q14. How Do I know if I have enough memory on my indoor security camera’s microSD card to cover the time when I’m away on vacation? A. The short answer is you don’t. In this situation, you might want to consider the cloud (online) storage option just for the time you are away. This way you won’t have to worry about running out of disk space or overwriting footage that recorded an earlier incident. Q15. What are the consequences of someone breaking in and stealing your indoor security camera? A. If a burglar takes off with your camera, they’ve also stolen its microSD card. In these cases, you not only lose your valuables but also reduce your chances of retrieving them. The way around this problem is to use cloud (internet) storage. At least you will have all the footage stored online up to the point where the thief disconnected the camera(s). There should be a nice mug shot too, as they would have walked over to the camera in order to remove it. As you can see, there are some definite advantages with cloud storage. Q16. Can wireless security cameras connected to the internet be hacked? A. This is an important question and a common concern for many. Without getting too technical, look for a system that has an SSL/HTTPS connection and wireless AES WPA2 encryption. If you can tick these boxes, then your camera is very secure and extremely difficult to hack. Q17. What’s the difference in picture quality between 720p and 1080p HD security cameras? A. Up until recent times, 720p set the standard for HD camera resolution, but that was then and this is now. Today, a lot of the better cameras offer the higher 1080p resolution, but what does that mean in layman’s terms? Well, it basically means you get twice the amount of image detail, and images that are larger (in pixel count). When it comes to identifying the fine features of an intruder, you can never have too much detail. Q18. What is frame rate i.e. Frames per Second (FPS) and why is it important for security cameras? A. Frames per second (FPS) refers to the number of individual pictures the camera takes per second. The human eye cannot detect individual frames at rates above 24 to 30 fps, which means the video looks lifelike when watched. High quality video cameras will record at 60 fps, but you don’t need that kind of quality, not for a security camera. And anyway, much higher FPS needs more memory to store the video. It also requires faster internet speeds to transfer the increased volume of data to your device and/or cloud storage. Q19. Why Would I Want Pan/Tilt/Zoom Functionality? A. Pan-tilt and zoom (PTZ) means your field of view (FOV) is not fixed. Obviously there’s no need to do any manual adjustments with PTZ cameras. These systems are useful if you have large areas to cover as they have both directional and zoom-capability that you get to control remotely. Having movement options in a home security camera is useful, but not essential. You can read more about PTZ and the advantages and disadvantages over fixed FOV cameras here. Home security cameras have come a long way in recent times, but is a sophisticated IP home security camera system right for you?